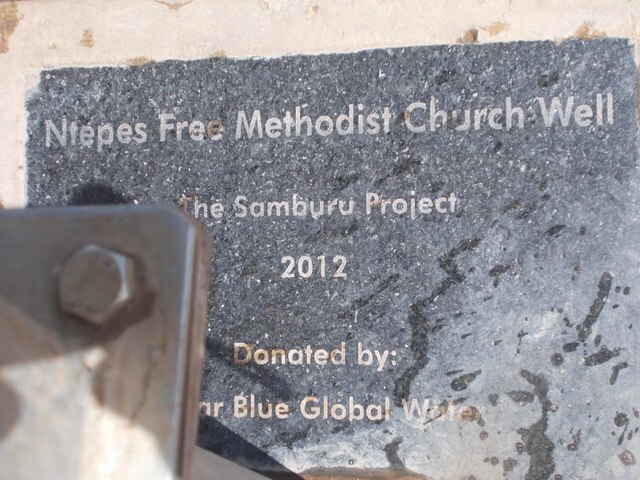 Funded by Clear Blue Global Water and initiated by Vickie Reynen of the Free Methodist Church, The Samburu Project will drill and install a shallow well equipped with a handpump in at the Ntepes Free Methodist Church. 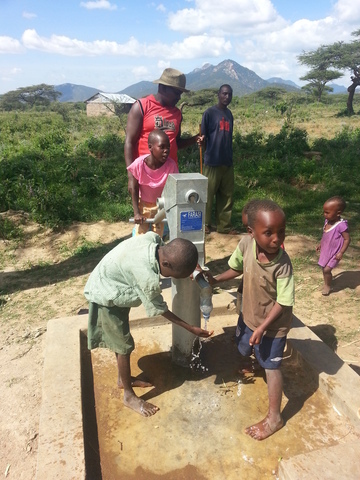 This well project was initiated by Vickie Reynen who works with the Free Methodist Church in Kenya along with Pastor Charro of the Ntepes Free Methodist Church. 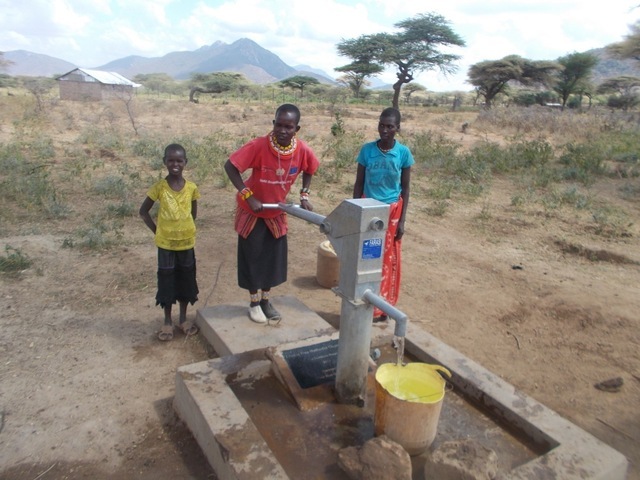 In April 2012, Vickie was visiting churches in the Wamba area and identified the need for water. 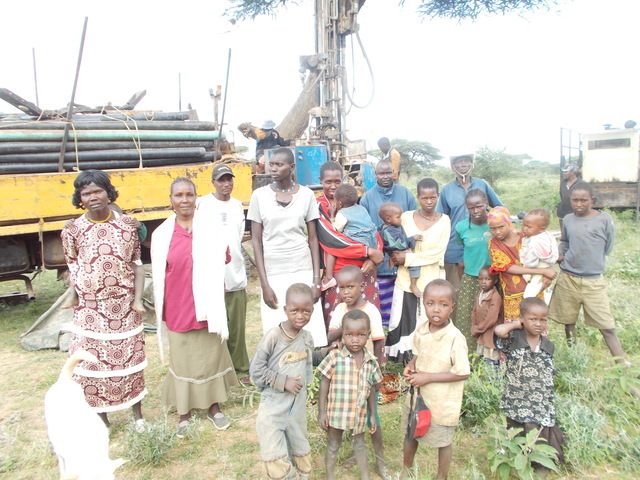 Pastor Charro suggested that she contact The Samburu Project. 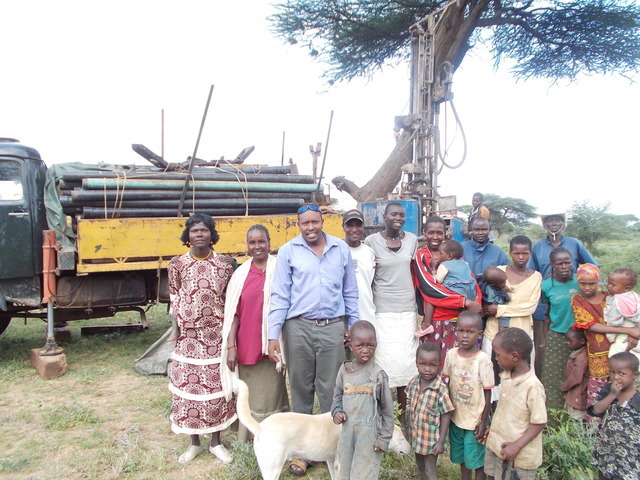 After much correspondence, in May 2012, Vickie traveled back to Wamba to meet our team and discuss the possibility of drilling two wells with The Samburu Project. One in Ntepes and the other in Lorian. 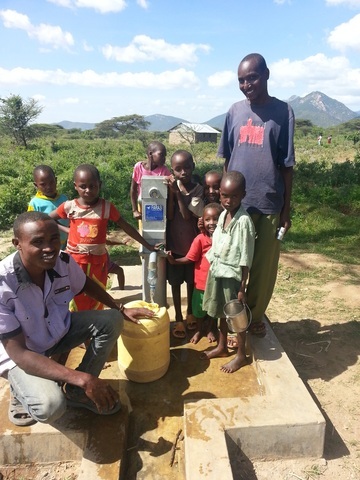 Following the meeting, it was decided that they would fund one well in Ntepes. Also in May, Stephanie Ng and Lucas Lekwale had a lengthy meeting with Pastor Charro to discuss The Samburu Project's process and expectations of the community. Lucas and Pastor Charro have been working together for the last two months to prepare for the well drill, mobilizing the community etc. 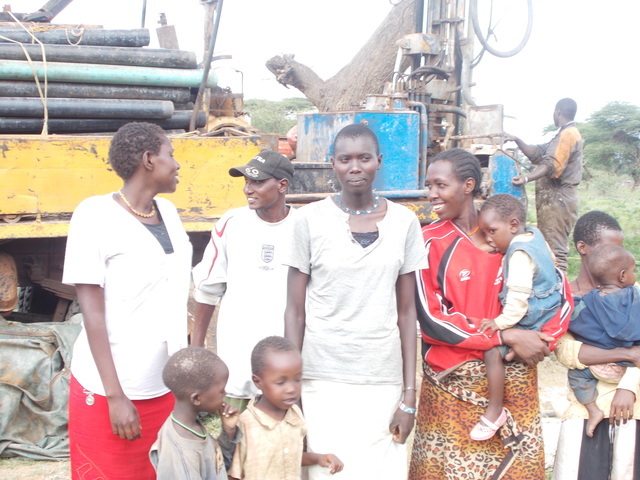 The Ntepes FMC well was the 1st to be sited for The Samburu Project's 2012 well drill. After 6 surveys, a viable site was found. 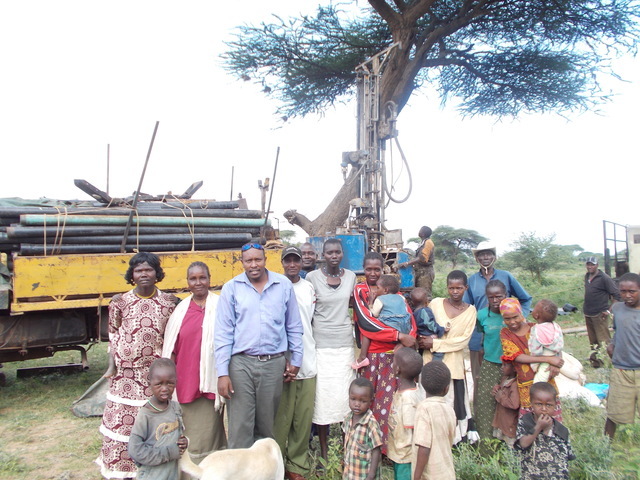 Joseph Kariuki, hydrogeologist and Lucas Lekwale worked with the community to find the best site possible. 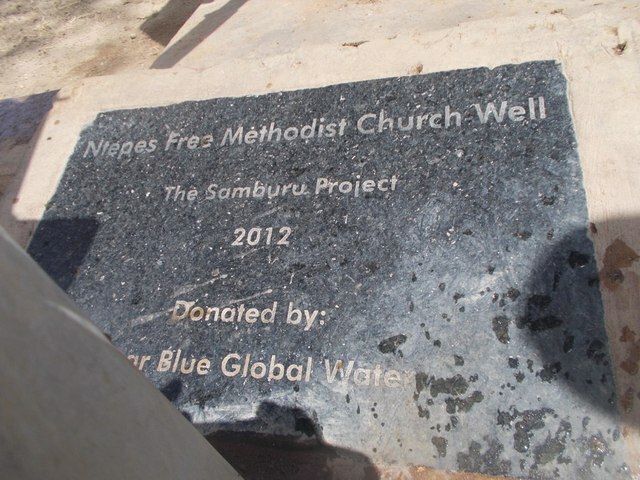 Because this project was initiated by the Ntepes FMC, the goal was for the well to be near to the church itself. It was uncertain if this would be possible as the church is some distance from the riverbed. However, the site selected is within the church grounds. The likely reason that the water table is high enough at this point is that some old wazees (male elders) from the community told Lucas and Kariuki that many, many years ago the river flowed through this location. 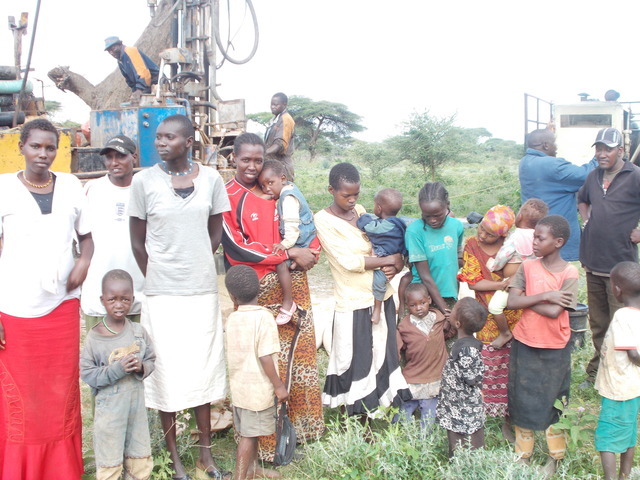 This goes to show how important the oral history of the community is in this process of well drilling. 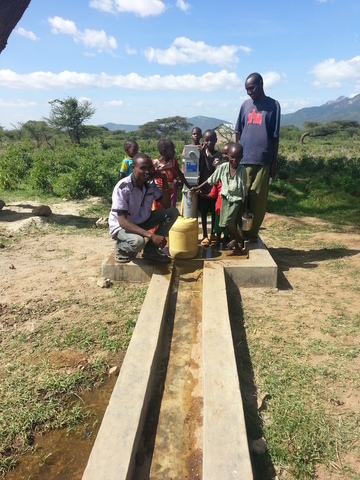 The community is currently getting their water at the Upper Margwe Well, drilled by The Samburu Project in 2011. 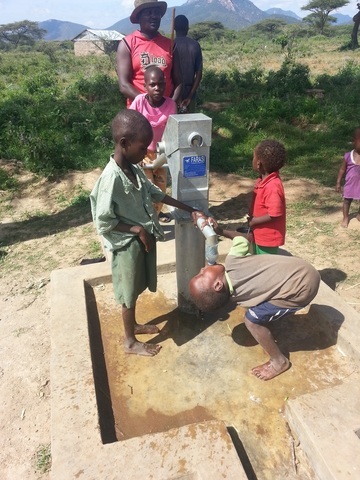 Though it is only 10 minutes away, people have to wait in line for many hours to get water. This takes a big part of their day. 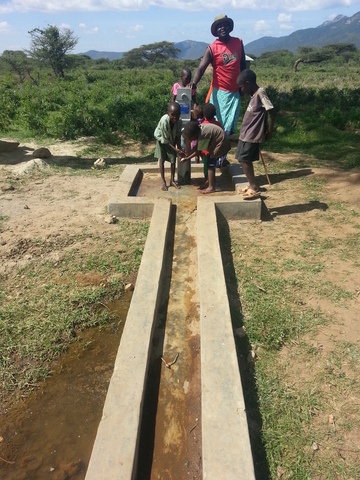 Also, the Upper Margwe Well is overused which can cause maintenance issues as well as over taxing the water table. 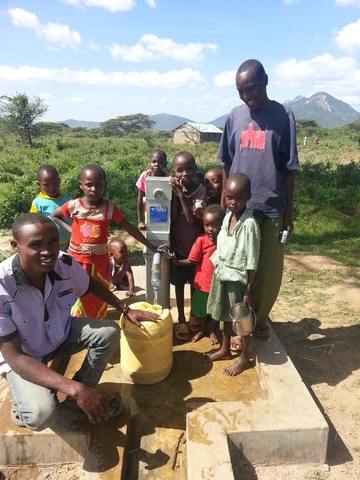 Today, well construction was completed and the community in Ntepes at drinking clean water! Water Struck at 35 Meters! Drilling is underway and water was hit at 35 meters today! Stay tuned for an update and pictures of the completed well. Site Selection - Day 1 Success! After surveying six sites, a viable location was found for the Ntepes FMC well. 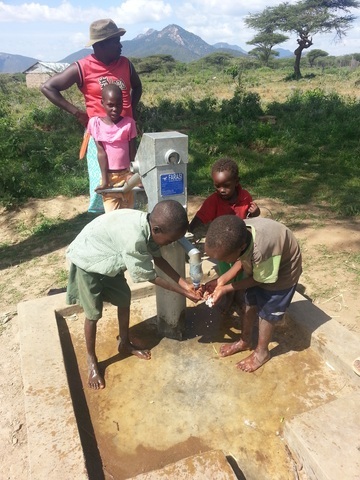 1000 additional children living outside Ntepes who go to Ntepes Primary School.